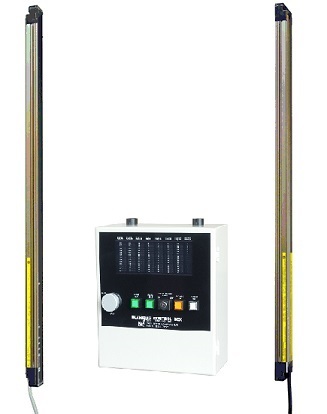 HRPX and HRPZ-4 safety lights feature a two component system that does not require a separate control box. State of the art circuitry allows the transmitter and receiver to be wired directly into the safety relay inside your control cabinet or PLC. An internal diagnostic circuit continuously monitors the operation of the lights for maintaining their UL and CE safety certification. These lights also carry a category 4 safety rating – the highest level attainable by the international safety council. Standard protection heights range from 12 to 50 inches with beam spacing of 9 or 15mm. 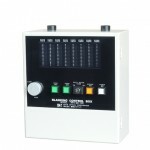 The lights can be programmed for either fixed or floating blanking with the SC-11 hand-held control module. Additional lengths available. Please contact factory. Each set of lights includes one transmitter, one receiver and two 23 foot inter-connect cables. Double ended cables for series connection available. Fixed and floating blanking is available with SC11 module.Key features of this module include numerical indication of blanked beams, memory storage, download capability and password protection.